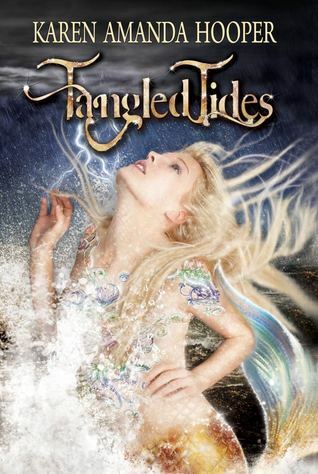 My thoughts about Tangled Tides are, well, tangled. My thoughts about Tangled Tides are, well, tangled. Excuse the pun. But really, they are. This is my second book by Karen Amanda Hooper. I read and loved Grasping at Eternity some time last year and was really keen to read Tangled Tides. I mean, I've always had a thing about mermaid books and I had reasonably high expectations after the last book of the author's I read. And it started off well. It dived (yep, another pun) straight into the plot. Nope, no hanging around there. If my memory serves me right, it starts off with Yara's transformation into a mermaid, and there's a hurricane. I thought that was unique. Originally, I have to say that I was fully Team Rownan. That's right folks, there's some sort of love triangle. But it's not too bad, but that's coming from someone who doesn't really mind them. Back to the point, I really can't say I was a Treygan fan. I felt like he wasn't realistic enough and didn't really have enough...substance. So really I was a Team Rownan but Team Mermaid. And that's another cool thing - the mermaid vs selkie business. I have never come across THAT before. To be honest, towards the end of the book, I wasn't Team Rownan. But the twist is that I wasn't Team Treygan either. I was Team Whatever but I would suggest to Yara that she sticks with Treygan. Speaking of twists, there were a few good ones in there. The thing that I was probably the most annoyed by was the info dumps. But it would have been hard not to do a few info dumps. And the C-weed. Really? Unfortunately, this was not the epic mermaid book I was looking for. I feel like a broken record reciting the same thing here but I am yet to fight an amazing mermaid book. 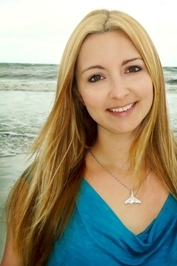 Author of YA paranormal and fantasy. I was born and bred in Baltimore, frolicked and froze in Colorado for a couple of years, and I'm currently sunning and splashing around Florida with my two spoiled rescue dogs. I'm addicted to coffee, chocolate and complicated happily-ever-afters. If a book is on my Read list then I enjoyed it (3-5 stars). I only rate 5 star books (those I loved so much I will read again and/or because they are by authors I know personally and adore) because I usually don't do reviews and I'd feel bad giving an author 3 or 4 stars without explaining why.